I haven't blogged for a week. I know. Work has really been exhausting and I had a fever for like two days. Pretty sucky week no? But, anyway, there are many things I should be thankful for like how I'm still alive today, how I still have my job and loving it, how awesome my friends are and many other else so who am I to complain about stress at work... It happens! And I know that whoever I'm announcing as the winner of my blog giveaway would also be thankful... Well I'm hoping for that. 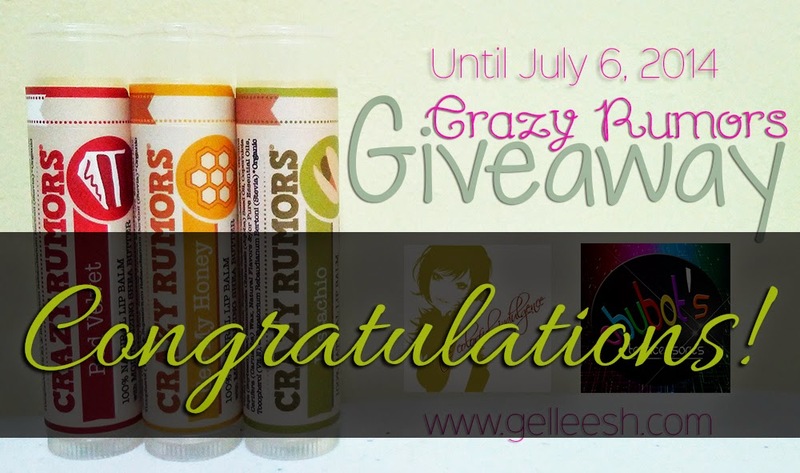 I know I didn't have a grand and major giveaway for my blog anniversary but it's just because I have been going through a lot lately and I did not have much time to fix things up like before. I know some of you may be expecting a big giveaway like how I give more than one loot bags if it's my blog anniversary but everything has its purpose and this time, I need to keep things simple. 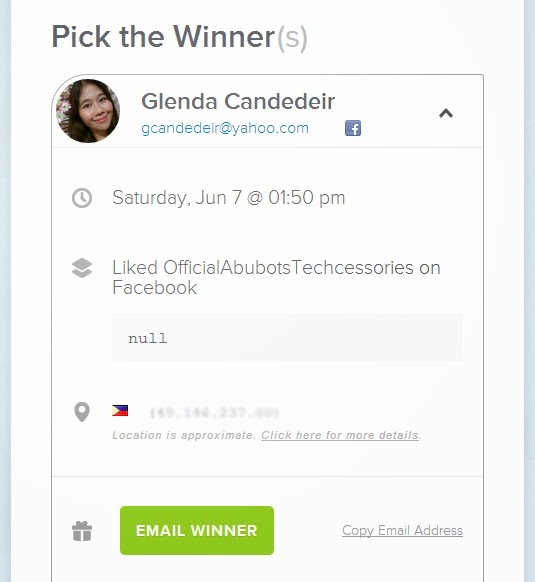 Congratulations Glenda for winning my giveaway. Please email me your mailing address, full name and contact details at gellieabogado@gelleesh.com so I can send your package as soon as possible. Thank you all for joining and hope to still see you hanging around my blog!